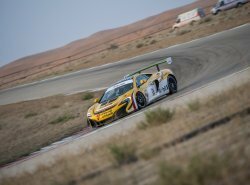 The McLaren 650S Sprint has secured its first championship silverware taking the 2016 Saudi GT Championship title at the Reem International Circuit, Riyadh, Saudi Arabia. A dominant performance at the final round of the season saw the 650S Sprint claim pole position, fastest lap time and overall race win. 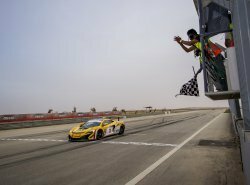 The 650S Sprint contested its first competitive season in Saudi Arabia run by Al Ghassan Dragon Racing Team, sponsored by Mobil 1 Saudi Arabia. The season has seen driver HRH Prince Mohammad Bin Faisal Al Saud claim three victories, one further podium and three fastest laps to earn the team and driver championship trophies. The track-dedicated 650S Sprint was unveiled at Pebble Beach in 2014 and is based on the road-going 650S Coupé. The aerodynamically enhanced design of the 650S Sprint offers increased levels of downforce, and the revised air intakes offer optimised cooling of the 3.8-litre twin-turbo M838T engine. In the 650S Sprint, the proven powerplant is retained from the 650S road car, with a unique engine and transmission calibration to further enhance on track drivability and driver engagement.